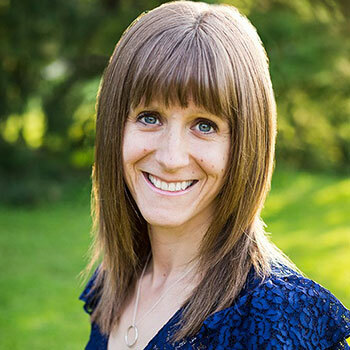 A registered psychotherapist and accredited music therapist, I received my Master of Music Therapy from Laurier in 2007 and have taught and clinically supervised students at Laurier since that time. I am currently a PhD candidate at The University of Western Ontario in the department of music education. I’m thrilled to have recently (2017) accepted the position of Music Therapist-in-Residence, an innovative and new role that connects academic teaching and research with clinical practice and supervision at Homewood Health Centre. From 2007 to 2012, I was the music therapist at Lutherwood Mental Health Services in Waterloo. Through the support of a Canadian Music Therapy Trust Fund Grant, I recently also practiced at Merrymount Family Support and Crisis Centre in London. From 2012 to 2015 I conducted an inclusive children’s choir in London through “El Sistema Aeolian”. Active as a pianist and soprano as well, I hold an ARCT in piano performance and sing with the Canadian Chamber Choir. A focus of my research is the interdisciplinary connections between the fields of music therapy and music education. My current doctoral research examines relationships between musical and personal identities, and identity-development within musical performance. I am particularly interested in community music therapy and community music, social justice and anti-oppressive models of practice, music-centered music therapy in mental health, and students’ experiences of personal growth through musical learning. Canadian Music Therapy Trust Fund Clinical Grant (2016). Social Sciences and Humanities Research Council Doctoral Fellowship (2012 to 2016). Social Sciences and Humanities Research Council Canada Graduate Scholarship (2006/07). The University of Western Ontario’s Gold Medal for Music Education (2005). I provide clinical supervision for Laurier music therapy students at the undergraduate and graduate levels. Teaching, supervising, learning from and collaborating with students at Laurier has been and continues to be incredibly inspiring and fulfilling. It is a true highlight of my work!